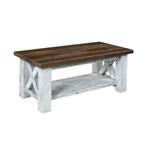 The Margate Reclaimed Barn Wood Coffee Table is the perfect centerpiece to your living room furniture collection. 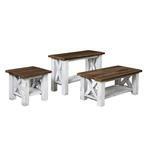 Shown with a stunning two-tone finish including a Distressed Pearl painted base and a Medium stained top, this beautifully crafted reclaimed wood coffee table really showcases the contrast between colors and accents the entire room. 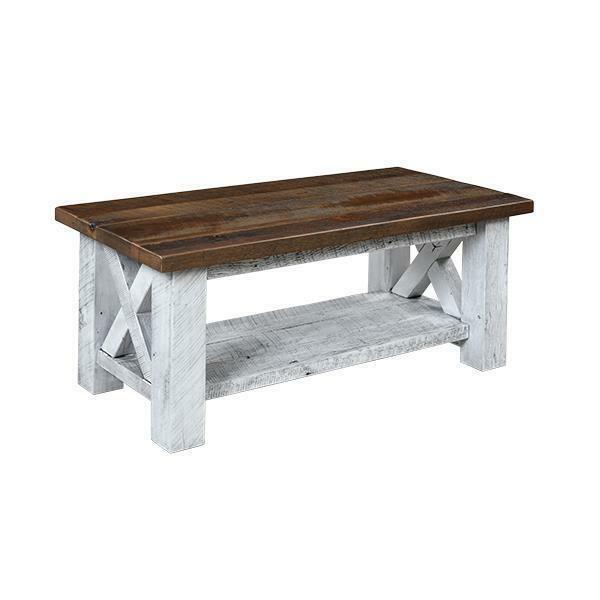 Handcrafted from the reclaimed wood of century old American barns, this unique coffee table offers a rustic style that will bring a hint of rugged charm to your home. Choose a finish combination like the two-tone finish shown, a different two-tone finish combination, or a single stain or paint for the whole piece that will best represent your personal style or living room decor.